As part of your initial consultation and subsequent routine check-ups, you will receive an oral cancer screening. An oral cancer screening is a comprehensive visual examination, often aided by a special light that illuminates abnormal cells. 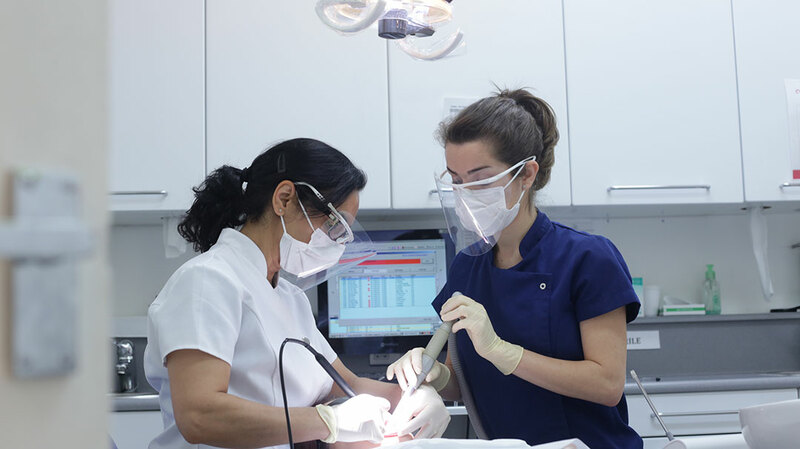 We will inspect the entire oral cavity and its surfaces including inside of the cheeks, the roof of the mouth, below the tongue and back of the throat. The oral cancer-screening dentist will also evaluate the face and lips to look for any signs of oral cancer.